I get a lot of questions about what settings I use, so I thought I would do a series about each of the settings options and how I have them set up. In this first article, I want to cover what I think are the best NBA2K controller settings. If you are like me, when you first start playing NBA2K, you might not even know these controller settings exist. That's ok since generally, you'll be just fine on default. But, as you get used to playing the game, you'll start to develop your own preferences on how you want not just controller settings to be, but the other types of settings as well. First, I'll give you my settings and then after that I'll point out what I think are some of the more important settings that might need some more explanation. OK, here is a rundown on all of my controller settings. OK. So those are my settings. Let's talk about which one's I think are most important and why. We now have the ability to control shot timing on layups as well as shots. Because of that, I now set that to shots and layups. I typically always recommend shot timing over real player % since you can't use real player % online. I like pro stick function on default instead of dribble moves because I shoot with the stick. I set pro stick defense to absolute so that it's easier to play defense. I always know that up is contest shot and I don't have to worry about where my defender is on the court. This was new in NBA2K18. With icon passing set to full receiver control, you can take control of the man you want to pass it to by holding his player icon. Once you let go of the icon, the pass will be made. It's just advanced way to "lead" pass to your target which ironically a lot of people use to complain about lead passing into the paint. Here's a good thread with a video in it that explains how it works. With regards to defensive assist and box out assist, I like to set these at 0. In fact, when I played in our league, we use to require these two options to be set at zero. The reason was because it's basically cpu assistance. We wanted as much of league play on manual control as possible. I always felt that both players needed to have the same setup so there was no assistance from the CPU. I think it has the added issue of giving up some control of your guys when the number starts increasing closer to 100. I like more manual control not less. That being said, I sometimes forget to check and I run at 50 box out assist strength without being aware of it. I know some people use some custom numbers but I like default here. I'm more of an icon passing player anyway. On top of that, I'm not sure I'd notice a lot of difference or that it even works anyway. So for direction, distance and openness, I leave it as is. I make it a habit to check my controller settings before each game. Sometimes settings don't stick or they don't carry over from mode to mode. I know a lot of times if I let my console go idle and enter DEMO mode, my settings get changed. A quick double check will prevent that. 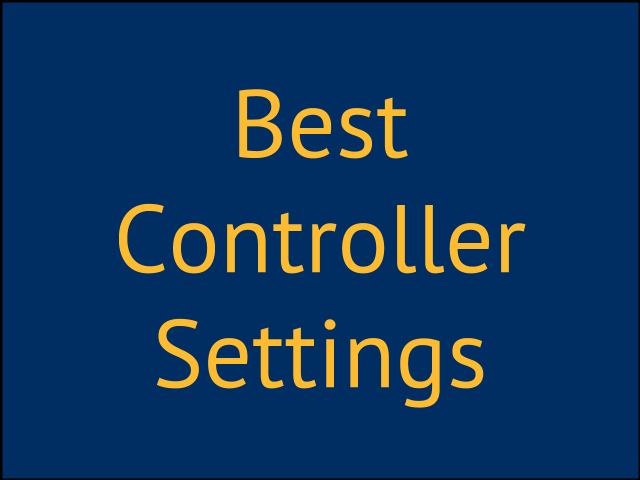 What do you have your controller settings set up as? Now that you know my controller settings, what do you have yours set up as? Let me know in the comments what you use and why. And if you aren't subscribe to my site, put your email in the box below for free updates. 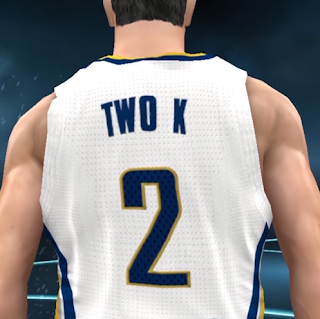 Coach2K: True Pacers fan from Indiana representing the NBA2K Pacers.. Copyright © Coach2K All Right Reserved.